Johann Friedrich Jörg was born December 3, 1838 in Norka, Russia, the son of Johann Jorg (born 1817) Katharina Reuscher. Friedrich married Christina Bauer on February 5, 1857 in Norka. Christina was born in Norka on March 28, 1837, the daughter of Philipp Bauer (born 1802) and Katharina Nolde (born 1807). A daughter, Anna Elizabeth (Alice) was born on April 15, 1858 in Norka, A second daughter, Louisa, was born in 1862 and Christina about 1866. Three sons followed: Henry (born in 1868) and John (1870) and Peter (1871). Freidrich's mother, Katharina, died in 1875 and he and his father decided to immigrate to America. The Jörg (also George) family arrived in the United States on June 28, 1875 on the steamship City of Brussels which departed from Liverpool, England. Also aboard this ship was the Heinrich and Elizabeth Schreiber family. 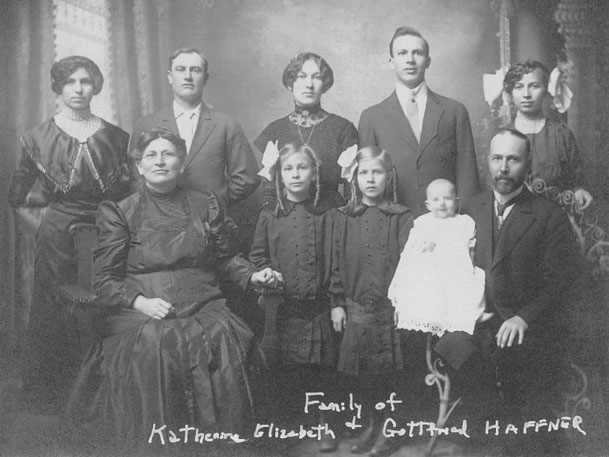 Friedrich (now Frederick) and Christina had three more sons: Emanuel (1876 in Ohio), Joseph (1878 in Ohio) and Frederick (1880 in Nebraska). Daughter Alice married Ludwig Spady on January 8, 1879, in Franklin, Nebraska. The Jorg family is show living next to Ludwig Spady in the 1880 U.S. Census of Franklin, Nebraska. By June 1889, Frederick was leading churches in Albina and West Union, Oregon. He was an active participant and led services in German at the North Pacific Conference held from May 12-21 in East Portland. Frederick's colleague, Gottfried F. Haffner (born June 27, 1867 in Shcherbakovka, Russia), established German Adventist churches in Walla Walla, Washington and in the Palouse colony of Volga Germans near Endicott, Washington in 1893. In 1891, Frederick and his family, along with his father, are living in Albina at the southeast corner of the intersection of Vancouver Avenue and Cedar (now Failing Street). The Rev. F. Jorg is listed in the Albina City Directory as the Pastor of the Albina Seventh-day Adventist Church at the same location. This church was established in 1889, and was the first Volga German church organized in Albina. Haffner died in Walla Walla in October 1920. In 1900, Frederick, Christina and children Emanuel, Joseph and Frederick are living at 952 Vancouver and Frederick is listed a preacher at the Seventh-day Adventist Church. At left, Christina Jörg (née Bauer) with daughter Alice in Portland. Courtesy of Karen Gilbert. The 1901 Portland City Directory lists Rev. Frederick Jorg as pastor of the Albina Seventh-day Adventist Church (German) located at 585 Union Avenue (now 2801 MLK Blvd.). Henry C. Dittrich is listed as the architect of the church. 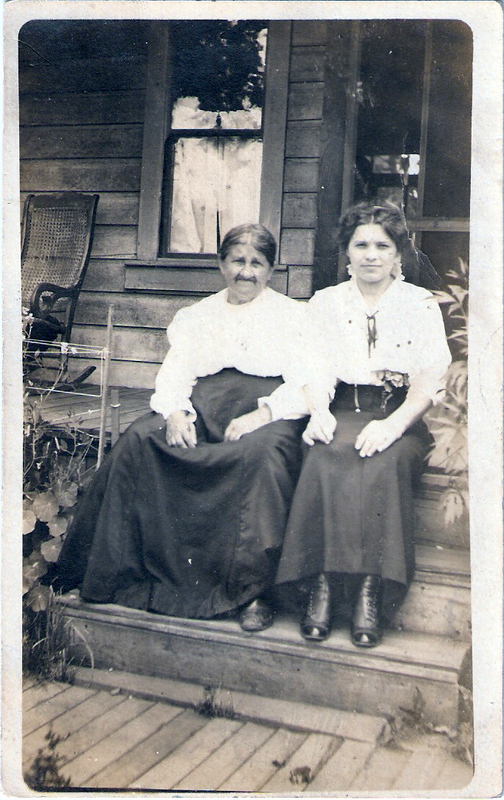 In 1910, the family is living at the same location and son Emanuel is listed as a bartender at a saloon. Frederick continues to be listed in the Portland City Directory as the pastor of the Seventh Day Adventist Church until 1911. 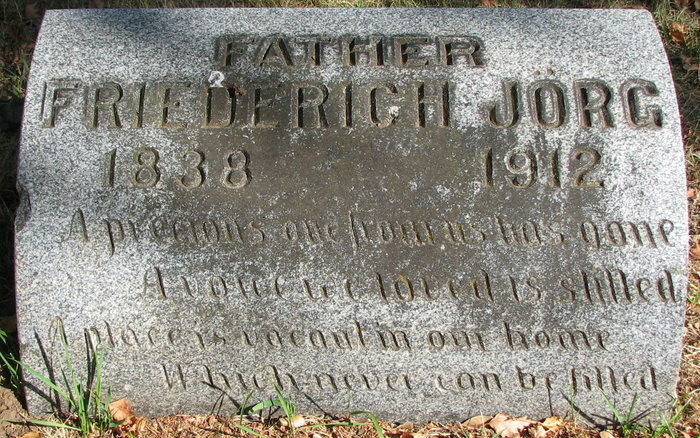 Frederick Jörg died September 29, 1912 in Vancouver, Washington. Elder H.W. Cottrell of the Western Conference of the Seventh Day Adventist Churches spoke at his well attended funeral. Frederick was buried at the Rose City Cemetery in Portland. 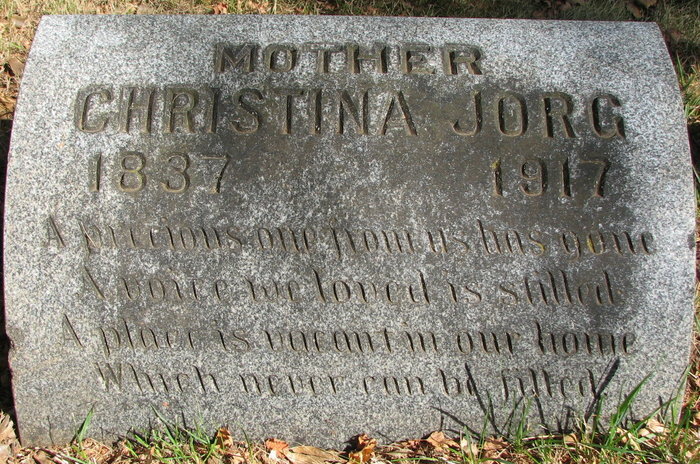 Christina Jörg died August 3, 1917 in Portland and she is also buried at the Rose City Cemetery.